Toronto took its place alongside cities like San Francisco, Madrid and Bangkok in a day of climate change protests held around the world. In Bangkok, groups chanted outside of United Nations climate talks. 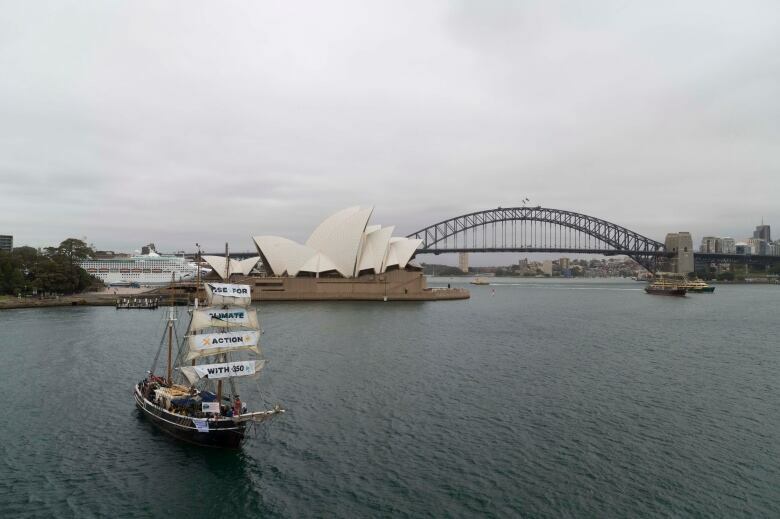 In Sydney, a tall ship festooned with banners floated through the harbour. And in Toronto, carrying signs and singing songs, a group of about 200 marched together to demand swifter action to address climate change. 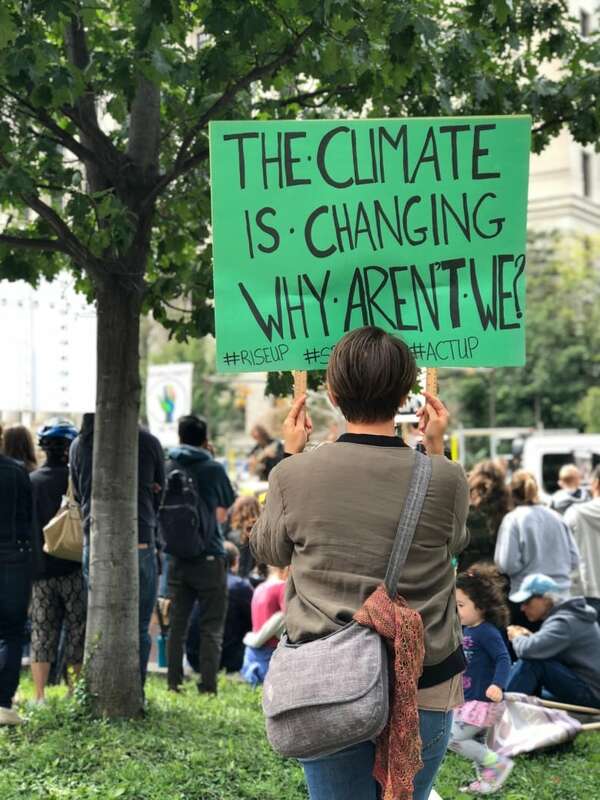 The march was one of more than 800 events held around the world on Saturday for Rise for Climate, a co-ordinated protest effort meant to put politicians participating in next week's Global Climate Action Summit in California on notice. It was organized by 350, a climate change group founded in the U.S. in 2008. "It doesn't matter what your political beliefs are. We're all on this same planet and we're all getting hurt by this. 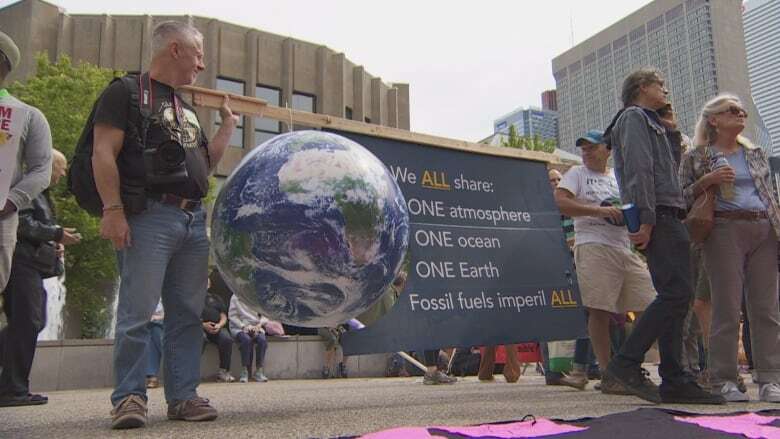 And it's not going to go away just because we don't think it's real," said participant Roger Martin, who brought an oversized, homemade globe with him. Helping him carry the prop was Jane MacIntosh, who has tried for decades to reduce her environmental impact. She lives in a solar house and drives an electric car, but says that despite her best efforts, she still feels complicit in the damage humans have inflicted on the earth. "Together we've tried to have a low impact lifestyle, but we're all sort of guilty of using fossil fuels and living in this lifestyle," she said. Yishin Khoo, another rally participant, said she draws from her Buddhist faith to inform her environmental convictions. "For us, taking care of the environment, taking care of each other, putting others before us, it's a very important value," she said. 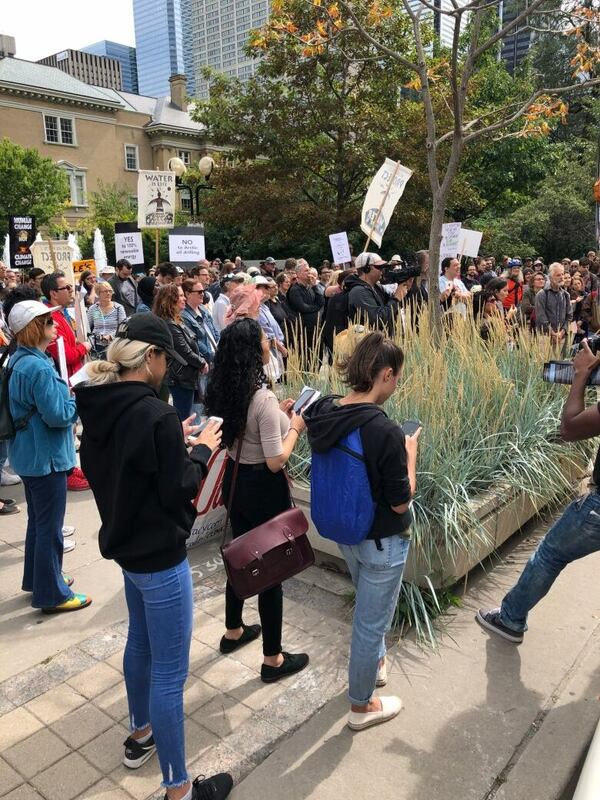 The march ended at Queen's Park to send a message to politicians in Ontario. Around Canada, other events were held everywhere from Sherbrooke, Que., to Kelowna, B.C. "The technology is there" to work on climate change, said Roger Martin. "We need the political will to get it done." "People may get tired of hearing about it, but we haven't turned the corner yet."